The next time you and Chewie head out in the Falcon on a Kessel run, take this cool Star Wars Millennium Falcon 16 oz. Acrylic Tumbler with you. 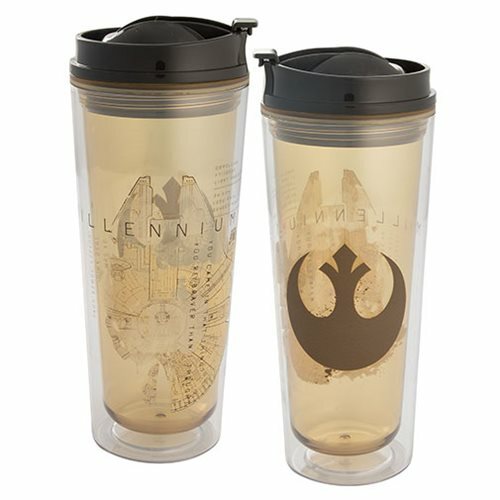 Made from double-walled lightweight plastic, with a screw-on flip-top lid, it features a translucent image of the Millennium Falcon on one side and the symbol of the Rebellion on the other. Hand wash only, it measures about 8 1/4-inches tall.